The right finance structure for your pub, community club or hotel will help you to minimise costs and maximise profits. Cashflow and flexibility are critical when it comes to funding arrangements for your pub, community club or hotel business. At Green Finance Group (GFG) our excellent industry-wide relationships and extensive pub, club and hotel lending experience, gained from over 20 years in the commercial finance industry, enables us to quickly assess your funding needs and recommend the right lender, loan type and structure for your business. Our pub and hotel finance experience extends to businesses of all shapes, styles and locations, from the traditional family pub to the exclusive wine bar to local community clubs. Our client list includes some of Australia’s largest hoteliers, developers, investment groups and not-for-profit sporting and social clubs. 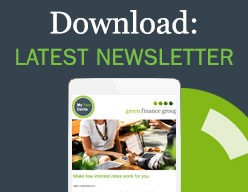 Green Finance Group has a reputation as one of Australia’s most recommended pub, community club and hotel finance specialists with over 95% of all clients referred by existing happy customers. When it comes to getting a better finance deal for your pub or community club, GO GREEN!